The one-star in charge of outfitting leathernecks with everything they drive, shoot and wear says Marines should never have to get in a fair fight. Figuring out how to equip Marines with the most modern gear in a time of tight budgets is what keeps Brig. Gen. Joseph Shrader up at night. Marines expect and deserve equipment that will give them the edge on the battlefield, the head of Marine Corps Forces Systems Command said Wednesday during the Sea-Air-Space expo outside Washington, D.C.
"They should never have to face an enemy on equal terms," Shrader said. "We should always have the technological advantage, we can never cede that." 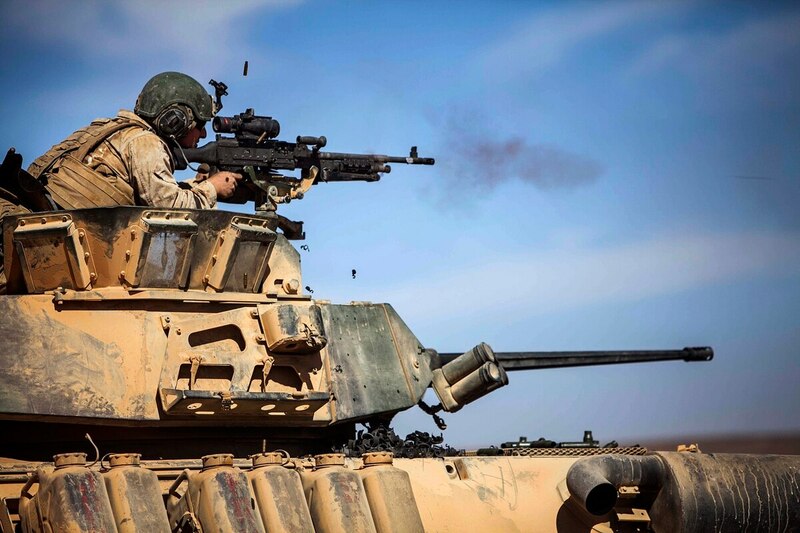 The Marine Corps' shift to a greater emphasis on technology — from combat gear to training — means it needs as flexible an acquisition strategy as possible, he added. He urged industry leaders to think about ways to create modular systems that can be easily upgraded piece-by-piece. The Marines are also looking to share parts across systems. As they transition to new platforms like the Joint Light Tactical Vehicle, for example, they should be able to use parts from older equipment, like the light armored vehicle. "It has to be integrated into the system but in such a manner where you can take it off of one system, like the LAV, and also use on the JLTV or any of the other vehicle platforms we have coming along," he said. The service is experimenting with 3-D printers as well, so Marines can create their own parts. SYSCOM is looking to field 3-D printers throughout the fleet so Marines can experiment with finding their own solutions to gear needs or shortages, said Col. Walt Yates, the command's program manager. "We'll pitch out a problem to them ... and they can go tinker with this stuff and see what they can come up with," he said. "It's a way that we take that capability — 3-D printing — and tap into the young minds that we recruit. We just give them the tools to come up with some prototype things and see what they come up with."